Stated Income Loans: No Proof of Income? No Worries! Customizable loan starting at only 5.70%. Get yours today! The process of buying a property can be a very exciting experience, but it can also be a stressful one. One particular source of stress for many home buyers and for many purchasers of investment properties is the need to obtain a mortgage loan. Qualifying for a mortgage presents a number of challenges and delays or difficulty in the qualifying process can make it difficult or impossible to submit a successful bid on a home or get to closing. The traditional process of qualifying for a mortgage is time-consuming, requires extensive paperwork, and is not well-suited to many individuals including those who are self-employed or who have irregular income. If you don’t earn a typical paycheck from an employer for working a 9-to-5 job – or if you cannot prove you regularly receive employer paychecks – many traditional mortgage lenders will not even consider your application for a loan even with stellar credit and with ample money in the bank for a down payment on the property. The good news is, there are alternatives to getting a conventional mortgage from your local bank, and there are lenders that are willing and able to accommodate your situation. A&D Mortgage can provide qualified buyers with the financing that they need to make their dreams of property ownership come true. This is true regardless of the cost of the property you are trying to purchase, provided the property is affordable based on your financial situation. Insufficient, or improper, documentation can often keep people from successfully applying for a traditional mortgage. We are opening the path to a new home for many who fall outside conventional channels while still verifying income. NonQmHomeLoans.com offers many different options for mortgage loans for those who cannot go through a traditional bank or mortgage broker or for individuals who do not want to cope with the paperwork hassles and loss of privacy that comes with qualifying for a typical mortgage loan requiring full documentation. One of the best options available to you is a stated income loan. To find out if a stated income loan is the right source of financing for your particular home purchase or investment property purchase, reach out to A&D Mortgage today for help. A stated income loan is a mortgage loan that you can obtain without providing the proof of income that is normally required to secure mortgage financing. With many conventional banks and mortgage lenders, you are required to provide extensive documentation of all of your sources of income. You may need to submit several years of tax returns from the IRS, as well as pay stubs, bank statements showing paycheck deposits from employers, and other proof of income. The bank will likely also want to verify your employment by speaking with the employer to confirm that you are still working for the organization at the time of your home purchase. With a stated income loan, you avoid all of this paperwork. A stated income loan can be obtained without the lender obtaining an independent verification of your income from tax returns or similar sources. You will simply state your income and avoid all of the myriad requirements normally in place for verifying the amount you earn from an employer. Who Should Get a Stated Income Mortgage? There are many reasons why you might wish to obtain a stated income loan. One very common reason that home buyers and property investors obtain stated income loans is because they have irregular sources of income. These sources of income may not satisfy requirements imposed by traditional banks or they may be difficult to verify. For example, your money might come from family contributions or from a business that you own. Or, you may have regularly changed jobs so you may not be able to provide multiple years of pay stubs and confirmation from a particular employer that you are currently actively working. If you routinely perform work for foreign enterprises, rather than for companies in the United States, you may also not have the proof of income that conventional mortgage lenders need in order to approve you for a loan. The company you worked for may also no longer be operational, so providing employment verification could be difficult or impossible. Or, you may simply be self-employed and have no company you work for to verify your income. You may also wish to obtain a stated income loan simply because you value your privacy. 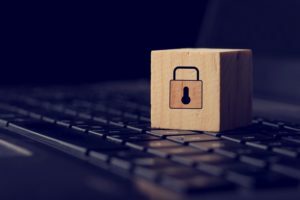 Many people are concerned about keeping their information secure, especially in this day and age when even big institutions are vulnerable to hacking or have been caught misusing private customer information. 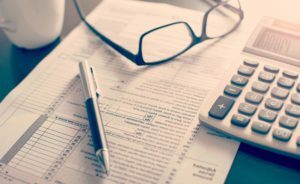 By providing detailed tax forms to lenders, you make yourself vulnerable to some of your most sensitive information falling into the wrong hands. You may not want to spend weeks or even months gathering the necessary paperwork to provide proof of your income. Applying for a mortgage can be a bureaucratic nightmare of paperwork, submitting form requests, and providing documentation. Going through the process to obtain proof of income and employment may simply not be worth the effort. Determining how much you can afford to borrow: Your stated income, assets, employment history, and debt-to-income ratio will all help to determine the amount of money you can obtain. Getting pre-qualified for a loan: You’ll need to provide some basic information about your employment, residence history, and assets you own. You’ll also need to provide permission for A&D Mortgage to obtain a copy of your credit report to be analyzed. Once your information has been reviewed, we can provide a pre-qualification letter that will give you insight into exactly how much you can borrow and that will help you as you shop for and place bids on a home. Applying for the loan: This takes place with the help of one of our mortgage professionals after you have put an offer on a home and had that offer accepted. Our loan professionals will guide you through every step of the application process which will be simple and streamlined since you do not need to provide proof of mortgage income. Closing and funding the loan: After approval, A&D Mortgage coordinates with the title company or escrow company that is handling your closing to make certain that the process goes smoothly and the money is distributed in a timely manner so you can obtain your property. Many people can qualify for a stated income loan from A&D more quickly and easily than they would be able to obtain a loan from a bank or a credit union that requires full documentation for loans. With help form our loan experts, you can find the right type of stated income loan that you can qualify for and that can allow you to buy the property of your dreams. A streamlined application process: You can submit your loan application quickly and can move through the process of obtaining your loan in a timely manner without having to spend weeks gathering paperwork, waiting for the IRS to send tax returns, and waiting for an employer to provide extensive verification of income. An easy qualification process: While many conventional mortgage lenders make it very difficult to qualify for a home loan, especially if you have changed jobs recently or if your income comes from non-traditional sources, A&D Mortgage makes qualifying simple. You have a better chance of being approved for the loan you need and will be able to get approved more quickly so you do not miss out on the property that you want to buy. Competitive rates and terms: A&D Mortgage provides stated income loans at competitive rates and with loan terms that are favorable to borrowers. You can get an affordable mortgage that helps to ensure that your home or investment property purchase is a good investment. Don’t wait another day to get the process of qualifying for your new mortgage underway. Contact A&D Mortgage to get the process of applying for your stated income loan started now. To find out if a stated income loan through NonQMHomeLoans.com is available to you – and is the right choice for you – you should contact us to begin the simple and straightforward application process and get started on getting your loan approved. non-qualifying mortgages from NonQMHomeLoans.com work.